It was a great weekend in the Hamptons. First, I spend Friday night with Allison Lutnick, and Debbie and Harlan Peltz, and Stefanie Hirsch. 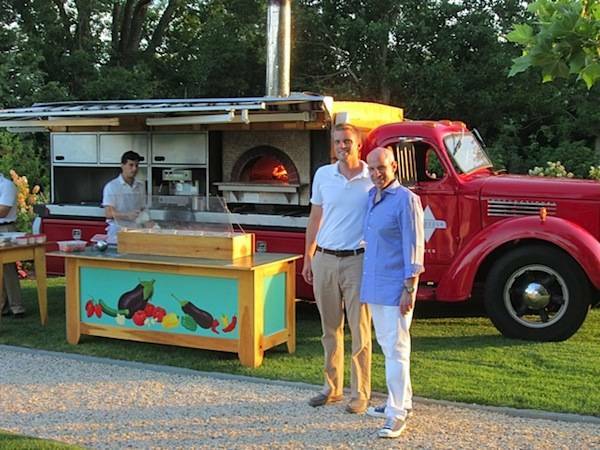 On Saturday night, my friends had a Pizza Truck at their party called Rolling in the Dough. It takes only four minutes for the pizza to be made, and there are more than 250 toppings. You can make whatever you like, and then they bring it right to your table. People enjoying the yummy dinner were Danielle Rich, Richard Kilstock, Lizzie and Jonathan Tisch, Harrison Lefrak, Annabelle and Charles Murphy, Rebecca Sugar, Michael and Erica Karsch, Marielle and Edmond Safra, and Roxanne Palin.